Amidst the beauty and history of the Pebble Beach Concours d’Elegance, Cadillac treats car enthusiasts to a world premiere of its latest production-car design. The 2010 Cadillac CTS Sport Wagon makes its debut this weekend on the Monterey Peninsula, showcasing a dramatic design that elevates and updates the classic wagon body style.Not unlike many historic Cadillac designs, the new CTS Sport Wagon is an unmistakable and dynamic presence. The car’s intricately cut rear profile injects fashion-forward design into the formerly utilitarian world of wagons. Cadillac’s upcoming wagon offers ample interior space and includes a range of six-cylinder engine choices, making it a compelling alternative to larger utility vehicles. Based on the hot-selling CTS sport sedan, and a sister vehicle to the CTS Coupe Concept, the Sport Wagon extends the design-driven renaissance of Cadillac. Following this special premiere at Pebble Beach, the CTS Sport Wagon moves to the worldwide auto show circuit this fall – and into Cadillac dealerships in spring 2009. The CTS Sport Wagon, like its sedan predecessor, includes available features such as all-wheel drive, a 40-gigabyte internal hard drive, pop-up navigation screen and a hand-cut-and-sewn interior with Sapele wood accents. “The CTS Sport Wagon is an important expansion to the Cadillac lineup worldwide,” said Taylor. Dramatic planes highlight the CTS wagon’s design, including a V-shaped motif carried throughout the vehicle and carefully integrated intersections of exterior surfaces. The elements coalesce in a dramatic fashion, creating tension that emphasizes the vehicle’s performance. The emotion of the CTS Sport Wagon’s design is carried by a number of nuanced details. The liftgate area, for example, is a confluence of angles and planes that typifies the vehicle’s design tension. Cadillac’s “V” motif is most prominent here, culminating in a spine at the center of the liftgate that is accented with a subtle spoiler at the top of the backlight. The rear quarter panels extend slightly beyond the inward-angled planes of the V, creating a distinctive W shape at the rear of the vehicle. Large, prominent vertical taillamps – with Cadillac’s signature light pipe technology – are the final, dramatic touches to the rear-end styling. One of the more interesting integrations of form and function is found in the seamless roof load management system. 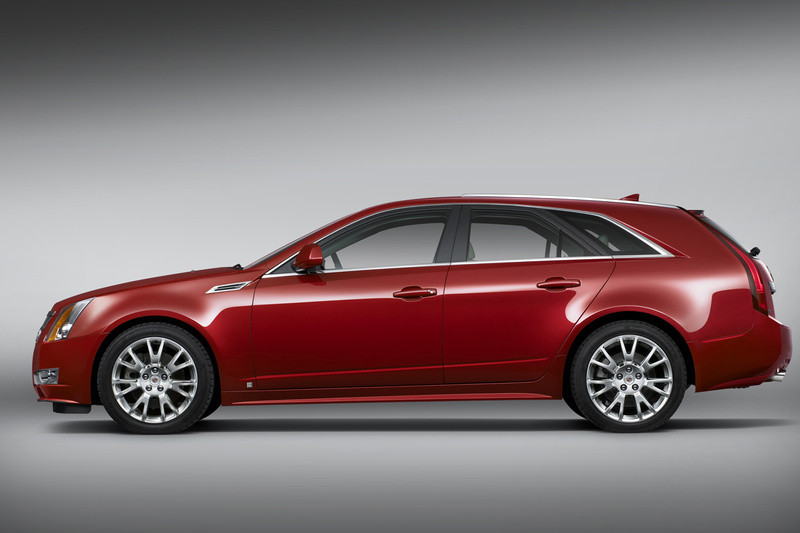 Rather than stylized stanchions, brackets and cross bars that protrude above the roof line, the CTS Sport Wagon’s system blends with the roofline, maintaining an uninterrupted appearance. The center section of the roof panel angles downward inside the roof edges, allowing an unobtrusive placement of the cross bars – and creating a subtle fin effect at the trailing edges of the rear panels. “They’re not fins in the classic sense, but they work to help disguise the cargo load system and, yes, they acknowledge Cadillac’s design heritage,” said Dean. The interior of the Sport Wagon is common with the much-acclaimed sport sedan, including streamlined instrumentation, LED lighting and hand-cut-and-sewn accents with French stitching. 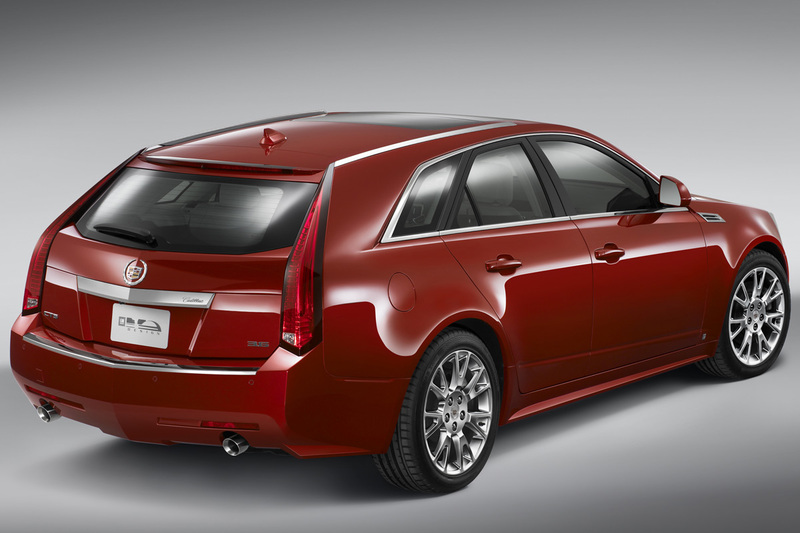 Direct injection technology helps the CTS offer more power while maintaining fuel economy and lowering emissions. It delivers fuel more precisely to increase the efficiency of combustion. This means less fuel is consumed and lower emissions created. With the CTS Sport Wagon’s 3.6L V-6, direct injection translates to 304 horsepower (227 kW)*, no loss of fuel efficiency and a 25-percent drop in cold-start hydrocarbon emissions. It also runs on less expensive regular unleaded gasoline. The Sport Wagon’s fuel economy is expected to be similar to the peak rating of the existing sport sedan’s 26 mpg highway rating. The standard 3.6L VVT engine that produces 263 horsepower (196 kW) and 253 lb.-ft. of torque (343 Nm) serves as the base engine in North America. 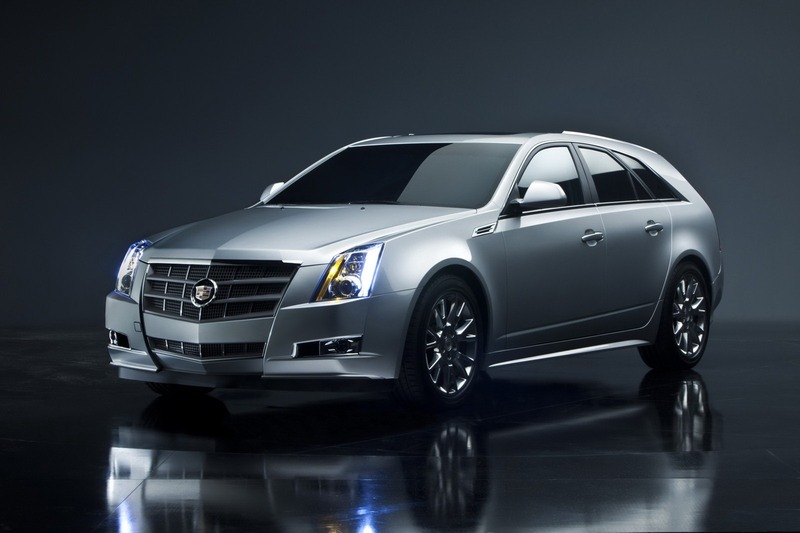 Just like the CTS sport sedan, the V-6 engines are matched with fuel-saving six-speed transmissions, including an Aisin six-speed manual or an electronically controlled Hydra-Matic 6L50 six-speed automatic. As is the case on the sport sedan, CTS Sport Wagon includes AWD as an option. An efficient 2.9L turbo-diesel engine is being developed for CTS models primarily in European and Asian markets. It is a compact, dual overhead cam, four-valve V-6 engine from GM’s family of diesel engines that delivers optimal fuel economy as well as reduced emissions and noise. The engine is rated at 184 kW (250 hp). Advanced chassis technology in the form of Cadillac’s StabiliTrak electronic chassis control system integrates the car’s standard four-channel ABS with the full-function traction control, hydraulic brake assist and engine drag control systems to deliver a safer, more confident driving experience. Additional chassis details include a structure-enhancing tower-to-tower brace under the hood; large, four-wheel disc brakes and premium steering. Il bagagliaio è piuttosto ampio in effetti..
il frontale è veramente molto riuscito, mentre trovo che la coda sia un pò pesante..
An efficient 2.9L turbo-diesel engine is being developed for CTS models primarily in European and Asian markets. It is a compact, dual overhead cam, four-valve V-6 engine from GM's family of diesel engines that delivers optimal fuel economy as well as reduced emissions and noise. The engine is rated at 184 kW (250 hp). Sconcertante la vista del posteriore, pero' nel complesso mi piace...se non altro è originale. Ma quindi sarà venduta anche nel mercato nordamericano? 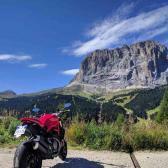 Posso capire che i fari verticali sul montante oramai siano piuttosto noiosi...e quindi hanno cercato di proporre qlk di nuovo....ma questa soluzione "prismatica" sono un po' bruttarelli da vedere. Mi sembra incredibile che non sia stato ancora aperto il canonico thread di variazioni sul tema per questo nuovo modello (anche se i PS a base Tonale già abbondano sparsi negli altri thread).